Life is Feudal • View topic - Development News #143 — Ready, Set, 0.2.0! Development News #143 — Ready, Set, 0.2.0! Feudalists, we are excited to announce that we have updated Epleland to the 0.2.0! As you are reading this devblog, we are preparing everything for the opening of Godenland, and soon enough you will be free to roam and explore its regions and start a new feudal journey. Stay tuned to the #notifications channel on our Discord to stay up to date with the update status. Yesterday we have also started sending out Tokens of Appreciation for your continuous support and dedication, including 10,000 GF and one whole free month of Premium Subscription. Veteran titles, as well as Decorator’s kit refunds, will be applied shortly after 0.2.0 is released. We are also happy to announce that from now on everyone can explore the Newbie island for free! To travel to Mainland players still need a ticket to Abella. A great excuse to gather your friends to explore the new map and and build a kingdom that will be famous for centuries to come! We also have some good news for streamers and content creators this week - if you have a Youtube or Twitch channel and planned to make some video about you or your guildmates exploring the new world, let us know! We will be happy to support your video or stream on our social media and share some in-game bonuses with your followers. Contact LiF Team via Discord or drop a line to e.laskina@lifeisfeudal.com for further details! 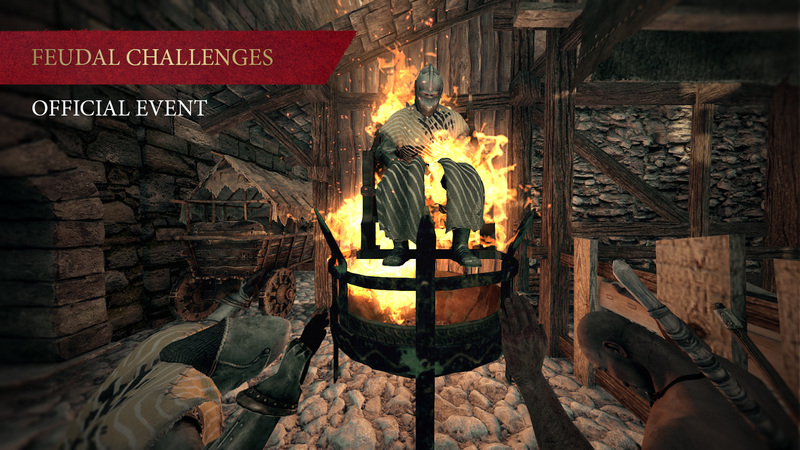 While you all await 0.2.0 in anticipation, we would like to share some info about challenges and events that will take place after 0.2.0. We already divulged information about the challenges for the First Explorers of the Godenland. So now we are going to share more details about each challenge type and the overall rules. Here are challenges for a guild, for a team and for a single player. Pillars of the community: First 5 guilds to upgrade their guild monument to tier 4. Needed info: A screenshot where the following can be seen: Monument window should be opened and server number should be present. Veni, Vidi, Vici: The first guild to capture a free province that is not owned by another guild will be rewarded. Needed info: Screenshot with a system chat message about declaring battle on the free province. My house is my keep: The first guild to build one of 4 keep types (Small Keep, Wooden Keep, Keep, Castle Keep). Achievement is available for each keep type. Needed info: A screenshot with a keep and a system chat message about successful keep construction. The Bloodline of Svefnii: The first one to place an IB totem on the province of another guild to initiate province capturing. Needed info: a screenshot system chat with a message about declaring a battle on the province of another guild. Also, a list of account emails (up to 10). Kneel Before Us! : The first guild to win an IB with another guild. Needed info: Your guild name and attacked guild name, and the date of the IB. Rule with an Iron Fist! : The first guild to keep a province for an entire week. Needed info: A screenshot of the Map with guild heraldry and a period of time, while you keeping the province. Transcendence: The first player to reach level 100 in one of the 7 professions. Achievement available for each profession. Needed info: A screenshot with character window with a skill at level 100. Ferdinand Magellan: The first player to visit all the regions of Godenland. Needed info: 32 screenshots of each of regions with server number. Pest Control: The first team of 5 players to defeat 9 knool’s camps. Needed info: 9 screenshots from the center of the knool’s camp. On every screenshot, there should be a dead chieftain, all 5 team members and the server number. Also, account emails of 5 team members. Please keep in mind that we can check all of your results and reject giving a reward. 4. After that, we are going to post a list of challenges and players that have completed them in our Discord channel and SM. As soon as the list of players for a particular challenge will be posted, screenshots will no longer be accepted. The Treasure of the Gods event will start soon! In the meantime, we would like to share some details about this event with you. The event will last for 18 days and there will be 144 treasure chests containing valuable prizes on Godenland in total. Yet the gods are greedy, and they don’t want to give away all their treasures at once. 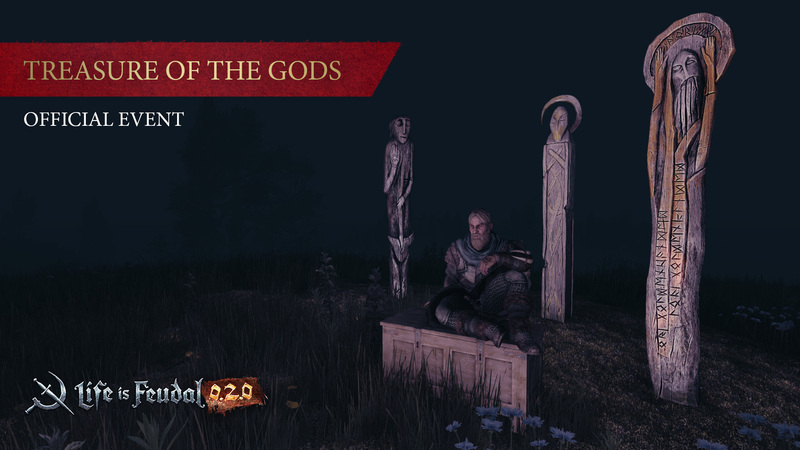 Every day, after the start of the event, we are going to reveal some hints about 8 treasure chests that one of the Gods hide in random places on the Godenland map. You will need to go to the area we will mark on Godenland’s map, which will be posted, and search for three idols of the God. When you find them, dig until your shovel meets something similar to a chest. There is also going to be a special idol in a chest that you can exchange for a prize with the help of GM, or keep it in your inventory. When the event ends, we will publish the lists of players that found a chest on our Discord. Stay tuned and prepare for a big treasure hunt. More details about the activities will be revealed on Discord. Stay tuned! Re: Development News #143 — Ready, Set, 0.2.0! Many of us are waiting in Epleland (especially those of us who were inhabitants of this world) to get rid of Tier's restrictions on the ability to go to Godenland. In Epleland the acquisition of skills is at a lower rate than in other worlds, so we are used to waiting for the months or years that are needed, you are very wrong if you think we are going to give up the high levels of our hard-working skills and time it cost us to achieve. Some of us delight in building our kingdoms in rugged and barren places of difficult access where life is hard and cruel to prove ourselves. Here the land is scarce and we are not willing to destroy the surrounding landscape in search of it, for that reason we used the auto-splitter to divide the earth and thus have the double of it to pave our homeland ... but you deprived us of our sacred tool and now dividing the earth from 30 to 15 before releasing it has again become very tedious. Give us back our sacred tool, the auto-splitter that you so blatantly robbed us, we will not give up our efforts until we recover what was once ours, what the Ellion God so generously contributed to our world that we lacked. I, Nefezer, put God as a witness, that I will not rest until I recover the freedom you stole from us. 1. Why do the wells now only give fresh water Q10 when they used to give water Q100? 2. Why are the crops only Q10, regardless of your level of agriculture, the soil quality, the quality of the water or the seed planted? 3. How can I convert salt water into fresh water? Is there any way to evaporate the water and get salt? 4. Is it only possible to get fresh water by boiling snow or from wells? Poor people of those who do not have snow nearby, can not get more quality fresh water. 5. Why when I examine a planted soil gives so little information (not even the quality of the soil) and in the wells does not even give the durability? 6. Why is the option of planting wild grapes so poorly translated into Spanish? at least leave it in English to be understood. 7. When you are mining, it does not notify you when you can not carry more weight and instead you lose those resources if you are not attentive ... juasjuas that madness. PS: The advisable mechanics would be that the superior levels only decrease once the durability of the monumente or the outpost completely decayed, to which, it would recover all the durability to a lower level starting again to decay if there is no maintenance. As for level 1 without maintenance then not only would the monument and the outpost lose durability but all other buildings and furnishings within said fief. 1. Because mechanics were changed. Now water quality improves over time. 2. You need to seed & gather crops according to the calendar. 4. You can get Fresh Water from snow. 5. Looks like a bug. Contact support on discord about it. 7. Known bug. Will be fixed soon. 8. No such plans. There's appropriate warning before you start an upgrade, so you can think twice and step back. 9. Permissions issue are known and will be fixed. Arrakis wrote: 1. Because mechanics were changed. Now water quality improves over time. 2. I disagree. I planted wild grapes according to the calendar of that day. 5. It is not something so important as to bother you with a report, you have more important things to worry about right now. I will realize that the well has little durability when it starts to burn. 6. Oh! Interesting. I did not know that link. 8. I'm sorry to disagree. There is no warning at all when you press the improvement button, directly change the building to the construction phase.